Fig. 22. 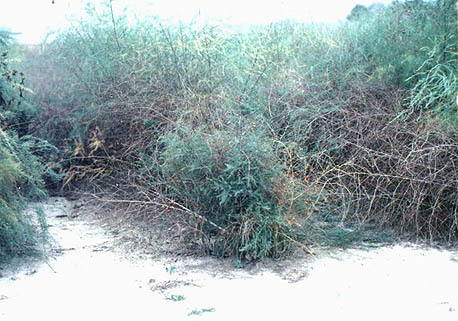 Defoliation of the lower canopy of asparagus caused by Cercospora blight (courtesy of D. Sanders and C. Averre).